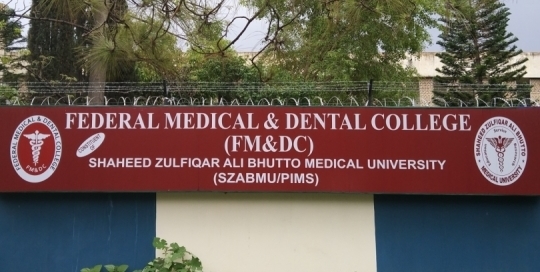 100 seats per year have been allocated for admissions in MBBS at Federal Medical & Dental College (FM&DC). Every effort is taken to ensure transparency and addressing concerns in induction of students at FM&DC for which the National Testing Service (NTS) is assigned the responsibility of adherence to the relevant Pakistan Medical & Dental Council (PM&DC) rules and regulations. Currently five batches of 500 MBBS students have been admitted in the College. The admission process of the 7th Batch has been completed.